Don't get just another ordinary mailbox when you can have an exceptional looking mailbox. 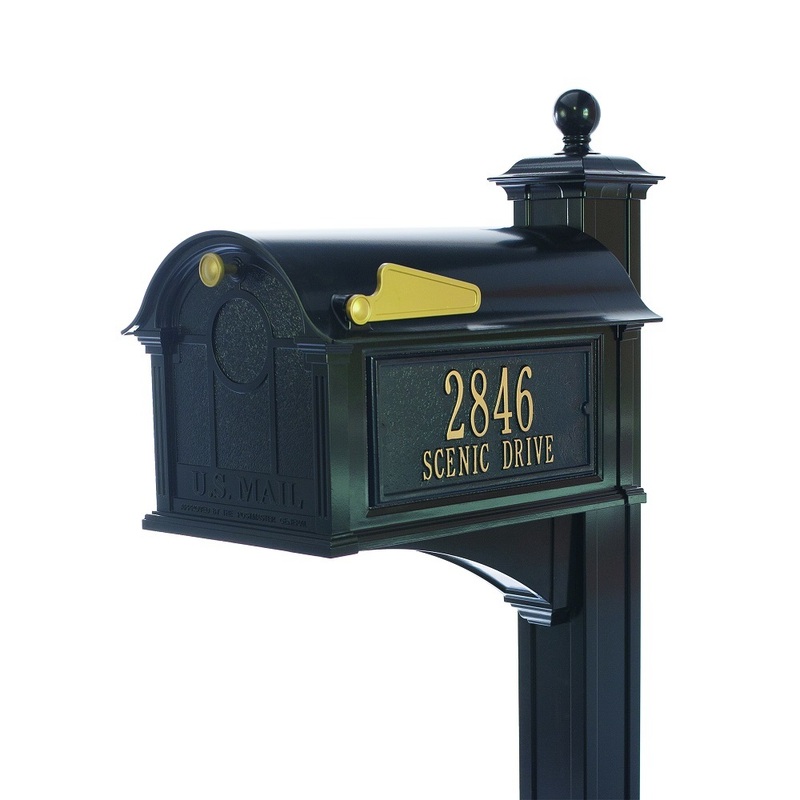 You deserve a nice strong mailbox that says “I have class and style.” There are different mailboxes to choose from. Or choose a thick based mailbox post. If you need two mailboxes you can get one post with two mailboxes. Perfect for you and your guesthouse that you rent out. Perhaps you and a neighbor want to split the cost of the mailbox post and each buy your own mailbox. You may select a mailbox & post that has a flowerbox on it. Add real flowers or silk flowers. During the holidays add some green branches with a red bow. Add brightly colored Easter eggs or a small basket filled with Easter eggs. Save time with a no-dig mailbox post ground anchor. In no time you will have your mailbox post up and ready to go. You will not have to spend time digging a hole and mixing concrete. You will save money when you simply use a post ground anchor to install your mailbox post. Order your new mailbox & post today whether you just bought a new house or want to update an old one.